The earthy town of Labin stands proudly above Rabac, overlooking the bright blue waters of the Kvarner Gulf on the east coast of Croatia's Istrian Peninsula. Looking back 2,000 years, the castellum of Kunci occupied nearly that same space during the Bronze Age. Around the 4th century BC, the Celts founded Albona upon the ruins, carrying the name forward to a 3rd century Roman relief announcing "Res Publica Albonessium," the Roman Republic of Albonia. The town earned the title of a republic once again during its history, as coal miners from the area's four mines went on strike in 1921 forming what was termed an "anti Fascist rebellion". Today, the mines are all closed but the spirit of the town continues to inspire independence. 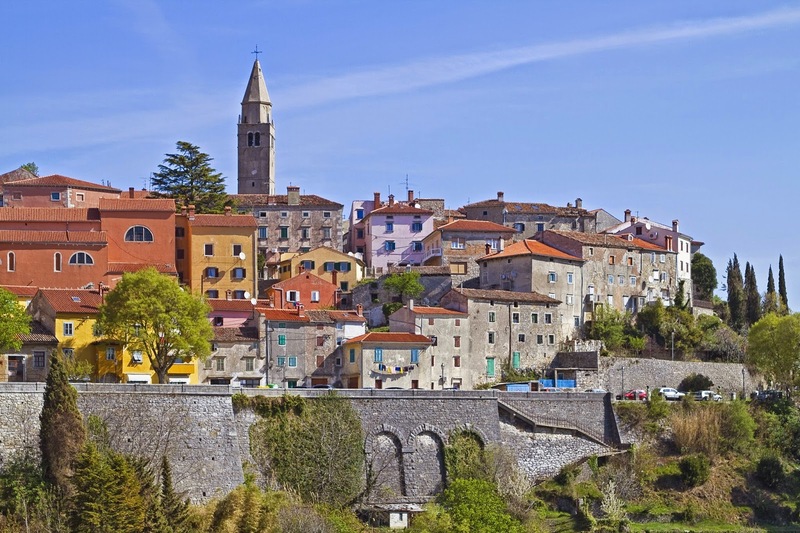 Contemporary Labin is a hub of nature, from its hiking trails and beautiful hillsides, to its art galleries, natural bath product shops, artisan bakery and cheese shop, to its health spas and locally sourced homespun restaurants. It is a town engaged with nature in every respect, looking to earn a reputation as a place of health and wellness. There is a clever miniature coal mine that celebrates the town's heritage, even though the current focus is on culture and business. Labin is a town in Istria with a town population of about 7,000 people. See Best of Istria Google Map for additional recommendations of places to see and things to do in Labin.